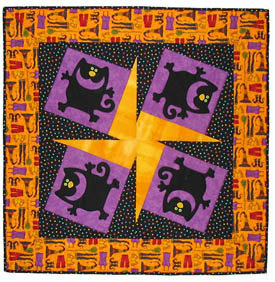 Miss Rosie is a Paper Piecing Pattern designed by Jacqueline de Jonge of the Netherlands. 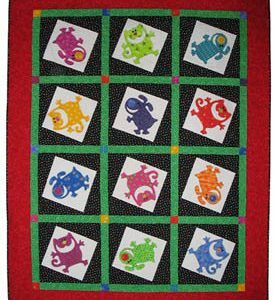 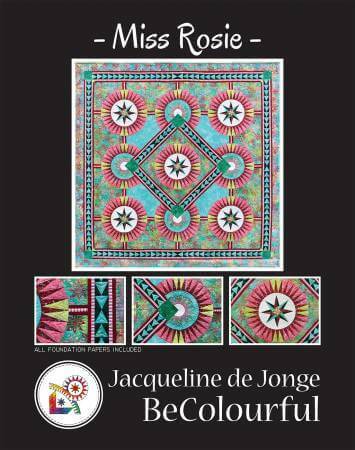 The quilt on the pattern cover features an assortment of 9 batiks in various shades and values of greens and red/pink, one white on white background, and a pink and white stripe from Jacquline de Jonge. 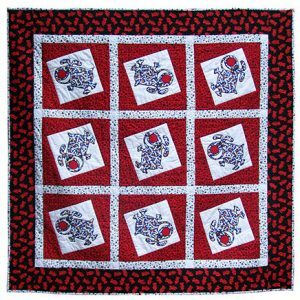 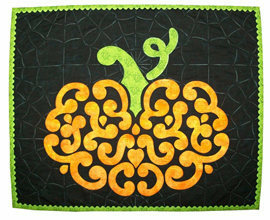 This quilt finishes at 76″ x 76”.